Messrs Obama, Kerry, Hagel - send the Apaches to Egypt already! It was supposed to be part of the solution, part of the reconciliation effort between the governments of Egypt and the United States. Relations between the two countries - once close allies - had been strained since the 2013 ouster of the elected President of Egypt, Muslim Brotherhood member Muhammad Mursi. On July 3, 2013, following a series of massive protests - at one point comprising almost 30 percent of the Egyptian population - Minister of Defense General 'Abd al-Fatah al-Sisi removed President Mursi from power, appointed an interim government, suspended the constitution, and called for new presidential and parliamentary elections. For all practical purposes, and in the U.S. government's view, this was a military coup d'etat. The new Egyptian leadership disagreed - I had this conversation with General al-Sisi in Cairo soon after he had removed Mursi. He explained that he was merely "executing the will of the Egyptian people." I asked if he had mobilized units of the Egyptian Army and deployed them at key positions around Cairo and other major cities around the country. He allowed that he had, but claimed that it was not a coup as he did not assume power, but instead had asked the Chief Justice of the Supreme Court to act as the interim authority pending new elections. I knew where he was going with this line of explanation. American law is very specific in how we react as a nation to military takeovers. I said that I understood his concern that the United States government would label this a coup and be forced to react. His fears were well placed. The United States, citing the Foreign Assistance Act of 1961, immediately cut off all aid to Egypt, including the annual $1.5 billion in military assistance. Although President Barack Obama had the authority to waive the requirements of the law, he chose not to do so and applied sanctions on the interim Egyptian government. The results were immediate. The Egyptian armed forces, charged with keeping the peace in the face of the expected Muslim Brotherhood violence - aimed mainly at the mostly defenseless Coptic Christians - found themselves without access to needed military hardware and spare parts. The United States still maintains those sanctions on Egypt. The Egyptian military has had to ground many of its Apache helicopters and F-16 fighter-bombers when they are sorely needed to fight a growing Muslim Brotherhood insurgency in the Sinai Peninsula. By April 2014, it was obvious to the United States that the Egyptians needed the additional 10 Apache helicopters that were on order, as well as the spare parts and maintenance assistance to address the Sinai situation. Egypt had ordered the 10 helicopters in 2010 to augment the 35 aircraft which have been in the Egyptian Air Force inventory since 2003. On April 22, 2014 the Department of Defense announced that the U.S. government has vacated it suspension of the delivery of helicopters. The mood in Cairo was one of relief, that the helicopters would soon be on their way and the relationship between the two militaries was on the mend. When asked about the delivery, Secretary of State John Kerry said the deliveries would "take place without further delay." However, the helicopters have yet to be delivered. This despite the assurances by Secretary of Defense Chuck Hagel just last month that the deliveries were forthcoming. The decision to release the helicopters does not affect the ban on other weapons systems on order - F-16 fighter jets, M1A1 main battle tank kits for local production, and Harpoon anti-ship missiles. 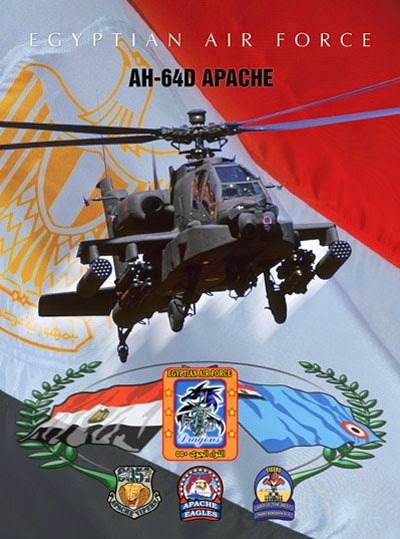 Egypt's Apaches are flown by the Air Force's 550th Air Brigade (the "Dragons"), with the 51st Squadron "Vipers" operating out of Wadi al-Jandali air base (east of Cairo) and the 52nd Squadron "Eagles" based at Abu Hamad air base (north of Cairo). It is a short flight to the Sinai. The continuing violence in the Sinai was underscored last Friday (October 24) by a coordinated attack on an Army checkpoint on which 31 soldiers were killed - it was the Army's largest one-day loss of military life in decades. Egyptian authorities believe the attacks were inspired and carried out by the Muslim Brotherhood in retaliation for the coup that removed President Mursi from power in 2013. President Obama, Secretary Kerry and Secretary Hagel - live up to your word. Give the Egyptians the tools they need to fight the Muslim Brotherhood - deliver the helicopters already. The last section of that article states, "That said, why wait for an engagement? We know where the Syrian air bases are, and we know which are in the hands of ISIS. These are large, fixed targets - put them out of commission. Problem solved. Surely I am not the only one who has thought of that." Almost immediately after I published the article, I received numerous emails, Facebook comments and Twitter tweets assuring me in no uncertain terms that I was not the only one to advocate bombing the ISIS jets and bases. IF TRUE - and I capitalize that for a reason since the Syrian Arab Army Facebook page has in the past promulgated a lot of Syrian regime propaganda, this is a positive development. The Syrian government has much to fear from an Islamic State in Iraq and Syria (ISIS) air capability. I doubt the Syrian leadership in Damascus was concerned about an air-to-air or air-to ground capability on the part of ISIS - no one is sure what kind of weapons were available at the al-Jirah air base, a base solely used for Syrian Air Force basic jet flight training before the outbreak of the Syrian civil war in 2011. I believe that the Syrian government, as well as the Iraqi government and the U.S.-led coalition, was more concerned that ISIS might use the captured jets as suicide bomb delivery vehicles, possibly targeting the palace in Damascus. Having lived there, I can attest to the fact that it is an obvious target, dominating the Damascus skyline. 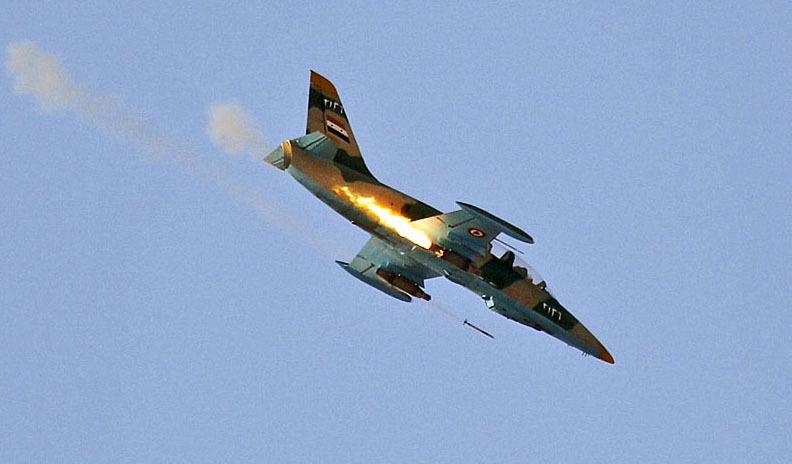 Suicide ISIS jets? Farfetched? We all remember September 11, 2001 when jet airliners were used by al-Qa'idah in the same role, albeit on a grander scale. Another reason I believe this is a possibility is the information that former Iraqi pilots were training ISIS fighters to operate the captured jets. If the jets were to be used as combat aircraft, the Iraqis would just fly them. Training ISIS fighters as pilots indicates something different than mere air operations. In response to the threat, IF (capitalized) the Syrian government announcement can be believed, Syrian Air Force Sukhoi fighter-bombers flew the 100 miles from Tiyas air base and bombed the captured jet aircraft at the base at al-Jirah, about 45 miles east of Aleppo (see map). The Syrian Ministry of Information announcement calls the air base "T-4" - this is the old name of the fourth pumping station on the now defunct Kirkuk-Tripoli crude oil pipeline, used to carry oil from the oilfields in Kirkuk, Iraq to the Mediterranean port of Tripoli in what is now Lebanon. The airstrip at the old pumping station is now known as Tiyas air base, home of the Syrian Air Force 819th Squadron, flying the capable fourth-generation Sukhoi SU-24MK (NATO: Fencer D) fighter-bomber (image). 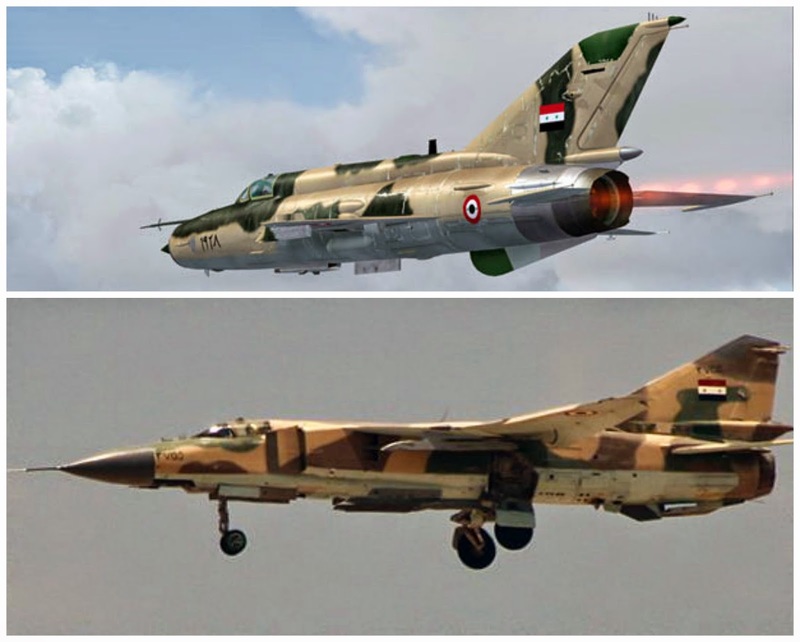 Over the more than four decades that I have been observing and analyzing the Syrian Air Force, I have never assessed them as a very capable force. However, over the last few years of civil war, it has surprisingly adapted its operations, tactics and even equipment to make itself a relevant part of the Syrian military effort against the Free Syrian Army and other groups supporting the overthrow of the regime of President Bashar al-Asad. More importantly, the leadership of the Syrian Air Force detected a threat, although that was not an intelligence triumph - ISIS put it all over social media. That said, the Syrians reacted immediately, striking the target at al-Jirah before ISIS could move to the next step of their operation. In this case, it appears that the Syrian Air Force is operating inside the decision cycle of ISIS, a notable achievement. Why didn't the U.S.-led coalition hit al-Jirah? In any case, IF the Syrian government claim is true, there may not be an aerial threat from ISIS at the present time. I would have preferred that we had handled this rather than the Syrians. Kobani, also known as 'Ayn al-'Arab in Arabic, is a Kurdish city in northern Syria on the border with Turkey. It has been the focus of media coverage over the last few weeks as the fighters of the Islamic State (also the Islamic State in Iraq and Syria, or ISIS) have besieged the town and moved to take it and make it part of their territory. The ISIS assault on the city has followed the same pattern the group has used elsewhere in both Syria and Iraq - they encircle and lay siege to the city, use artillery to weaken the defenses and demoralize the inhabitants, send in a series of suicide car-bombers or simple vehicle-borne improvised explosive devices, and finally attack the city with mobile and foot assaults. This time has been a bit different, however. The media has made an issue of the town, calling it at times either a "key" or "strategic" city in northern Syria. That media attention, coming soon after the beginning of U.S. and coalition airstrikes on ISIS targets in Syria, called into question the coalition's commitment to the people in the towns of northern Syria, particularly the Kurds of northern Syria, as well the efficacy of the airstrikes themselves. Although the city of Kobani is on the border with Turkey and its fall would represent another victory for the seemingly unstoppable ISIS militants, it is not exactly "key" nor "strategic." Unfortunately, what makes it most important (read: key and strategic) in the eyes of the media is the fact that the battle can be captured on camera from the Turkish side of the border and broadcast live to the world. As you can see from the photo above, and by way of disclosure, I am part of that media, although I have made known my assessment of the city as less than critical. Kobani is a border crossing, but not a major border crossing. ISIS already controls major border crossings on the Turkish border to both the east and west of Kobani. The crossing at Tal Abyad (Kurdish: Girê Sipî) to the east is on the main route from the self-proclaimed ISIS capital in al-Raqqah and the Turkish city of Urfa; that route follows the al-Balikh river. To the west of Kobani is the border crossing at Kilis, on the route from Aleppo to the Turkish city of Gaziantep. Both crossings are under ISIS control. Kobani is merely a remaining pocket of resistance on the border, but not a strategic venue. There were relentless claims by the media, echoing complaints from the Kurds from Turkey and Syria, that the airstrikes were ineffective in stopping ISIS, that there was no effort to save Kobani from falling to ISIS. I believe in reaction to those complaints, we have seen an obvious effort to use airpower to support the Kurdish People's Protection Units (Yekîneyên Parastina Gel, or YPG) in their defense of Kobani. The coalition airstrikes have halted the ISIS advance and pushed the lead elements back. The accuracy of the recent strikes and proximity of the weapons placements to YPG forces indicate to me that there is someone on the ground either spotting targets for coalition aircraft or coordinating the air operations. While not American "boots on the ground," it does provide that ground component critical for effective close air support. Kobani was on the verge of falling to ISIS - it may still, but at least the coalition will have made them pay a price for it, and it will have demonstrated coalition resolve to defend the population of Syria. That said, ISIS continues to press the attack on Kobani. In addition, they are expanding their attacks to the east, pushing out their area of control to the next border city, this one called R'as al-'Ayn (Kurdish: Serêkanîye). This move to the east is consistent with what we have seen in other ISIS operations. They have used the areas they control along the border to mount attacks on other border cities - their goal is to completely control the Syrian-Turkish frontier, which in their view is the border of their caliphate, albeit temporary. Interestingly, the Turks seem content to merely observe these ISIS advances on the Syrian border. They have refused to allow American arms shipments to transit the border into Syria to aid the Syrian Kurds in their fight against ISIS. It is well known that there is great animosity between the Turks and the Kurds in that border area. It will be refreshing when the Turks realize what side they are on. Although Kobani in and of itself is neither key nor strategic, it has become symbolically both. If ISIS can be stopped from taking the city through the combination of U.S.-led coalition airpower and Kurdish ground forces, it may be a turning point in containing the ISIS expansion. It is important that the coalition treat R'as al-'Ayn/Serêkanîye the same as Kobani. While the coalition is conducting a large number of airstrikes in support of YPG efforts to stop ISIS in Kobani, ISIS units to the west of Baghdad airport continue to move slowly toward the facility and the capital. Surely the coalition can deal with two fronts at one time - ISIS is. There are numerous press reports citing ISIS claims and even eyewitness reports of captured Syrian Air Force fighter aircraft being piloted by Islamic State (Islamic State in Iraq and Syria, ISIS) members. There is even a video (below), posted on YouTube that purports to be an ISIS-piloted aircraft landing at a Syrian air base that is now under ISIS control. Header: Exclusive first video of a MiG aircraft of the Islamic State landing at Jirah air base in Aleppo (province). Text: A MiG aircraft seized by the Islamic State flew three training sorties at a low altitude yesterday at dusk near Jirah air base, also called Kashaysh, which is about 70 kilometers east of Aleppo (city) in the first use of this aircraft. As the text indicates, Jirah air base is located about 45 miles east of the city of Aleppo. It is one of three air bases formerly used by the Syrian Air Force for jet flight training. I have annotated the bases on the map - Jirah is the furthest east of the three. All three of these training bases are either under ISIS control or are under siege. Although it would not be uncommon for MiG fighter aircraft to be at these bases, the primary aircraft used at these three bases was the Czech-built L-39 Albatros trainer. The L-39 is also an excellent counterinsurgency aircraft - armed with a machine gun pack and rocket launchers - and was used to great effect by the Syrian Air Force in the early stages of the war. At least one of these aircraft was shot down by the Free Syrian Army. According to the media accounts, former Iraqi Air Force pilots are training ISIS members to pilot MiG aircraft seized at captured Syrian air bases. The Iraqi pilots would be familiar with the L-39 trainer, as well as the MiG-21 and MiG-23 fighters - all three were in the Iraqi inventory years ago. What is confusing to me is why the Iraqis are training other ISIS members to fly the aircraft - why don't they just fly them? Training a new pilot takes time, whereas a former pilot would only need to re-familiarize himself with the aircraft and ensure that the required rehabilitation and maintenance has been accomplished. 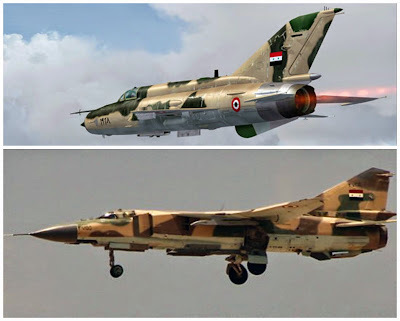 Although there is a chance that there were MiG fighters at the three jet training bases, it is more likely that if ISIS has obtained either MiG-21 or MiG-23 fighters as claimed, they were probably seized at Tabaqah air base outside the self-proclaimed ISIS capital city of al-Raqqah. The Syrians have consistently removed operational aircraft from bases about to be lost to either Free Syrian Army or ISIS, especially fighter aircraft. Most of the MiG aircraft at Tabaqah appear to be beyond repair, however, there were a few L-39 trainers at Jirah that may have been repairable. Let's assume for the sake of discussion that ISIS has acquired a few operational jets - I have seen the number three in the media. The MiG-21 is considered a second-generation jet fighter, and the MiG-23 is considered third-generation. Neither one is in the same category as the fourth-generation aircraft being flown by the coalition or the state-of-the-art fifth-generation U.S. Air Force F-22 Raptor. While any jet fighter can theoretically pose a threat to coalition aircraft, we are not sure if ISIS is in possession of any air-to-air or air-to-ground weapons for the aircraft. Coalition aircraft operating over Iraq and Syria are supported by a variety of intelligence, surveillance and reconnaissance aircraft and assets to provide warning of any threat posed by Syrian, and now ISIS, forces. Should an ISIS fighter aircraft - or a Syrian fighter, for that matter - attempt to engage a coalition aircraft, it will likely be detected early and dealt with. The pilots of the U.S. Air Force and U.S. Navy are quite skilled at downing Russian-made aircraft, as demonstrated on numerous occasions over the years. That said, why wait for an engagement? We know where the Syrian air bases are, and we know which are in the hands of ISIS. These are large, fixed targets - put them out of commission. Problem solved. UPDATE: According to media reports, this may be premature. ISTANBUL — A day after American officials said Turkey had agreed to allow its air bases for operations against the Islamic State, which they described as a deal that represented a breakthrough in tense negotiations, Turkish officials on Monday said there was no deal yet, and that talks were still underway. The Turkish comments represented another miscommunication between the United States and its longtime ally Turkey, as President Obama pushes to strengthen an international coalition against the militants that control a large area of both Syria and Iraq, by securing a greater role for Turkey. Finally the Turks have granted access for U.S. and coalition aircraft to use its strategically located airbases to conduct offensive operations against Islamic State in Iraq and Syria (ISIS) targets. Until this decision, the coalition could only use Turkish airbases for humanitarian operations. This is a welcome development as it significantly reduces the flight time from the airbases currently being used in Jordan, Kuwait, Qatar and the United Arab Emirates. Hopefully, the coalition can quickly begin use of the airbases - the primary bases of interest (shown on the map above) are the sprawling NATO facility at Inclirlik in Adana, Erhac in Malatya, the dual-use airport at Diyarbakir and the base at Batman. To illustrate the importance of access to these Turkish airbases, had coalition aircraft had access to these bases while attacking targets in the Kobani area along the Syrian-Turkish border, the flight distances would have been as little as 100 miles versus the 800 to 1500 miles using current bases in Jordan and the Gulf. That would have allowed more aircraft to operate for longer periods of time dropping significantly more ordnance - they could have reacted quicker to the changing situation on the ground. The reaction time to fast-changing events on the ground can be measured now in minutes, not hours. Turkey has been criticized over the past few weeks for its refusal to engage ISIS in northern Syria as it encircled and almost seized the Kurdish border town of Kobani ('Ayn al-'Arab in Arabic). While Turkish military intervention with its well-trained and well-equipped army would be welcome, Turkey still has reservations about moving its forces unilaterally into northern Syria. They are demanding that the coalition impose a no-fly zone over Syria and participate in establishing a security zone inside Syria. As of now, the United States is not in favor of either of those steps. Until there is resolution of these differences, it is doubtful that Turkish troops will engage. The question that remains is whether Turkey will participate in the air campaign - Turkey operates the F-16 fighter-bomber and would lend additional capability to the coalition. Now that the U.S. and the coalition have access to Turkey's airbases, will they simply move the existing aircraft from other bases in the region, or will they deploy more combat power to the area and step up attacks from this new axis? Or will they deploy different aircraft with better ground attack capabilities. To better attack the asymmetric threat posed by ISIS, the U.S. might consider the employment of their proven ground attack "trifecta" - AC-130 Spectre gunships, A-10 "Warthog" attack aircraft and the AH-64 Apache helicopter gunship. Given the proximity of Turkish airbases to the action, these aircraft could bring a much welcome enhanced close air support capability. It appears that the Turkish change of heart is a compromise to actual participation in the coalition. The world has been watching on live television the relentless attack on Kobani, while Turkish armored vehicles are seen on their side of the border in the fields adjacent to the fighting, but not engaged in either defending the Syrian Kurds or attacking ISIS fighters. While the decision to allow U.S. and coalition access to Turkish airbases is welcome, it is not full Turkish participation in the coalition, but it does dampen criticism of the the Turks. Hopes are waning that the U.S.-led coalition airstrikes on Islamic State in Iraq and Syria (ISIS) targets in Iraq would stop the momentum of the group's drives down the Tigris and Euphrates river valleys and the western suburbs of Baghdad. It was thought that blunting the pace of the advance would provide "time and space" military planners often talk about, giving the beleaguered Iraqi security forces (the combined units of the Iraqi Army and police forces) an opportunity to reorganize their capabilities and re-engage ISIS. That appears to have been wishful thinking. According to a senior Iraqi official, the Iraqi Army command structure has "evaporated." While there are good soldiers in the army, the leadership has been gutted over the past three years in the absence of American oversight after the complete withdrawal of U.S. forces from the country. American troops departed in 2011 following the failure of the Obama Administration and the government of former Prime Minister Nuri al-Maliki to reach a Status of Forces Agreement acceptable to both sides. Without an American presence in the country working with the senior leadership of the Iraqi armed forces, there was no check on al-Maliki's purging of the leadership, replacing qualified officers - many of them Sunnis - with his personal circle of cronies. Many of these replacements - almost all Shi'as - had little military experience, certainly not at the level at which they were placed in the Iraqi command structure. Corruption, always a problem in Iraq, became rampant and the force became hollow. When stressed by the ISIS advance in June of this year, the Iraqi command structure collapsed. The failure of leadership caused entire units - even complete brigades - to simply melt away, abandoning their positions and huge amounts of newly-supplied American-made weapons, vehicle and equipment. What we are witnessing now is a demonstration of just how sophisticated ISIS has become since they surprised many observers when they seized Iraq's second largest city of Mosul four months ago. ISIS is about to take the Syrian Kurdish city of Kobani (the Kurdish name for 'Ayn al'Arab), while simultaneously conducting offensive operations in the Euphrates Valley and the outskirts of Baghdad. There are reports of them moving as many as 10,000 fighters from the Mosul area and eastern Syria to reinforce their units in al-Anbar province. The battlefields near Baghdad and Kobani are 500 miles apart; Mosul is 250 miles distant. Moving men and materiel over those distances requires somewhat effective command and control. The fact that ISIS has that capability should not be surprising - much of the senior leadership of what is now ISIS is comprised of former Iraqi military officers and Ba'th Party officials, men with experience in conducting both military operations and civil governance. Over the last weeks, ISIS has continued its advances in al-Anbar province, attempting to consolidate its previous gains and seize territory that it had bypassed earlier. What is alarming is its seizing of positions just west of Baghdad, only about 10 miles from Baghdad International Airport. The airport is home to many of the U.S. troops deployed to defend American facilities in the country, and includes a detachment of AH-64 Apache helicopters. These helicopters have recently been used to conduct strikes against ISIS positions in the area southwest of Baghdad. Keeping the airport secure is a vital part of emergency evacuation plans for the U.S. Embassy and the multitude of American citizens in the country. Now we have U.S. Secretary of Defense Chuck Hagel admitting, "Anbar province is in trouble." 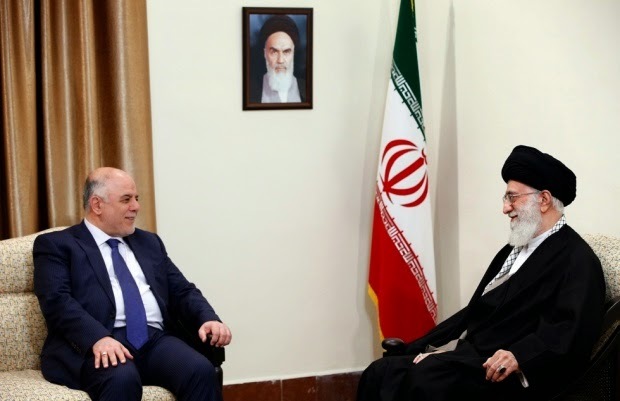 That is significant by itself, but when the tribal leaders who comprise the provincial council in al-Anbar demand of the Iraqi government in Baghdad that it request the re-introduction of American ground forces into the area, the situation is grave indeed. The president of the al-Anbar Provincial Council, Salah al-Karhut, said the province was in danger of "imminent collapse" and re-iterated that the Iraqi Army was not sufficient to defend the area from ISIS. This request underscores just how ineffective the Iraqi Army has become. Since ISIS moved into northern Iraq in June, the Army has consistenly proven itself incapable of not only retaking lost Iraqi territory, but in merely stopping the ISIS advance. Even with the added firepower provided by U.S. and coalition aircraft, it is only a very few elite units of the Iraqi Army that have successfully fought ISIS. The retaking of the Mosul Dam (with Kurdish peshmerga help) and the defense of the al-Hadithah Dam are such operations. That said, al-Hadithah is completely surrounded and again under siege by ISIS. Will the deployment of additional ground forces be required to safeguard al-Anbar province, and maybe more importantly, the western suburbs of Baghdad? It appears so. Will the situation require the deployment of American troops? That probably is not the real question. The real question is if American troops are required, will they be committed to the fight? If ISIS is the major threat to the United States as articulated by President Obama when he spoke to the country and authorized airstrikes in Iraq and Syria, perhaps it is time for Chairman of the Joint Chiefs of Staff General Martin Dempsey to recommend to the President that he reconsider the deployment of American ground troops to address that threat. 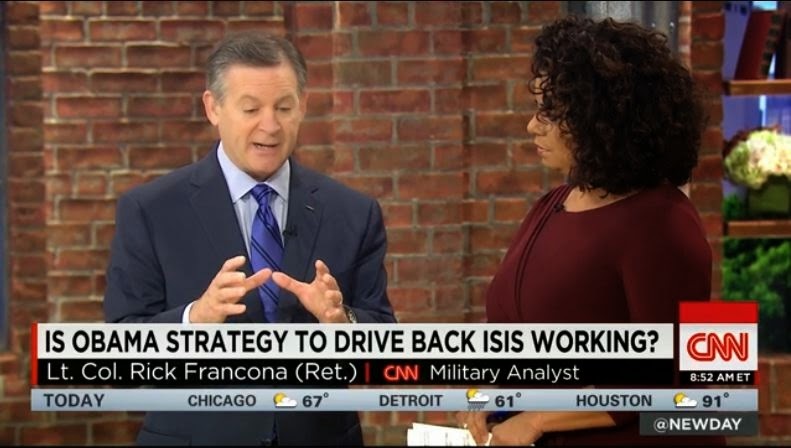 Conversely, if ISIS is not a major threat, why are we putting American airmen at risk? The answer to the question posed on the screen in the above photo is a resounding NO. The half-hearted air operation - I won't dignify it by calling it an air campaign - cannot and will not drive ISIS out of the territory it has seized since the early summer of this year. Repeated attempts by the Iraqi Army and Kurdish pershmerga - even with supporting U.S., coalition and Iraqi airstrikes - have failed to dislodge ISIS from its strongholds in Iraq, let alone Syria. Much of the ISIS success is due to the ineptitude of the Iraqi Army after most of its competent leadership was removed by former Prime Minister Nuri al-Maliki in his quest to politicize the Iraqi armed forces. Thanks to the premature departure of U.S. forces in 2011 (I have already discussed this policy failure in great detail), there was no American oversight of the Iraqi military. Many of us have spoken out about the President's ill-advised prohibition of American "boots on the ground." Besides being untrue, it is illogical. There are, of course, American boots on the ground. After having to concede this, now the Administration mantra is "no American boots on the ground in a combat role." They have to be very specific in their wording - there are three distinct clauses - because any of us who have been in a military aircraft when people are shooting at you regard that as combat. I digress. Over the last few weeks, we have watched as ISIS relentlessly consolidate its positions in both Iraq and Syria, going back to cities and towns they had bypassed in their drives up and down the Euphrates Valley. One of those areas has been the Syrian border town of Kobani, a city mostly inhabited by ethnic Kurds - the city is known in Arabic as 'Ayn al-'Arab. The local Kurdish People's Protection Units (Yekîneyên Parastina Gel - YPG), outmanned and outgunned by the ISIS fighters, have tried to slow the repeated assaults - supported by armor and artillery - on Kobani, but inevitably they have been pushed back towards the Turkish border. In response to this assault, many of the Kurds living in the Kobani area have sought refuge in neighboring Turkey. Turkey initially allowed tens of thousands of the Kurds to seek refuge, but have lately refused to allow more to cross, fearing that many are actually Syrian Kurdish militiamen allied with the Kurdish Workers' Party, a designated terrorist organization with much Turkish blood on its hands. Kurds across southern and eastern Turkey are demonstrating - sometimes violently - against the inaction of the Turkish government to protect their fellow Kurds. 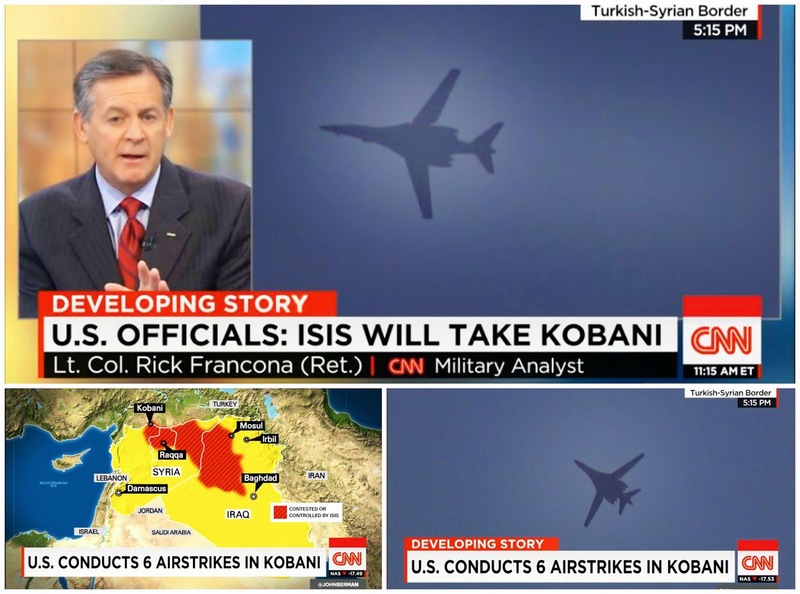 Yesterday, while I was on the air on CNN, one of the camera crews in Turkey just north of Kobani was able to record excellent footage of a U.S.Air Force B-1 bomber (affectionately called "The Bone" based on the letter B and the word One) patrolling the skies over Kobani. I indicated to the viewers that the wings of the variable-wing bomber were swept to their forward position allowing the pilot to slow the aircraft to allow him (or her) to observe ISIS activity on the ground and put weapons on targets if possible to do so without risk to YPG units or civilians. Despite the air attacks by the Americans, Kobani will likely fall because while these air operations may slow ISIS's advance into the city - allowing civilians to seek refuge in Turkey - the pilots cannot observe the activity on the ground to the detail needed to turn back ISIS fighters. There is a proven tactic to achieve the desired results - put American air controllers on the ground embedded with the YPG and Free Syrian Army in Syria, and with the Kurdish peshmerga and Iraqi Army in Iraq. I call this the "Afghan model" - it is what we did in the initial phase of the invasion of Afghanistan in October 2001. These teams, usually U.S. Air Force combat controllers (also called joint terminal attack controllers, JTACs) operating as part of joint service special operations team, were embedded with Northern Alliance fighters in operations against the Taliban. These teams were able to leverage the effects of American airstrikes on specific targets on the battlefield, allowing the outnumbered and often outgunned Northern Alliance to rout the Taliban and take control of Kabul in a few short weeks. 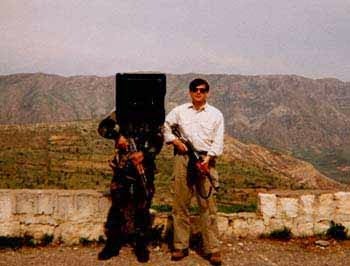 These teams use a variety of targeting devices, including laser designators to mark targets directly or determine exact GPS coordinates for munitions using that guidance system. It is the most effective means of employing airpower. Airpower can be, as demonstrated in Afghanistan, a force multiplier and allow smaller units to defeat superior forces. Yes, I know the problem. No matter how you nuance the introduction of American tactical air controllers onto the battlefield, you cannot escape the fact that these will be "American boots on the ground in a combat role." Granted, it will be a few boots and not a combat unit like a brigade or division, but it is putting Americans on the ground in combat. That, however, is what it is going to take to turn this around. The fighting in Kobane (known in Arabic as 'Ayn al-'Arab), Syria makes great television because we can watch it live as a handful of Syrian Kurds are trying to stop the inevitable takeover of the town at the hands of the fighters of the Islamic State of Iraq and Syria (ISIS). However, militarily in the larger scheme of things, Kobane does not occupy a major strategic location. It is a small border crossing on the Turkish border in the area of Syria inhabited by Kurds. 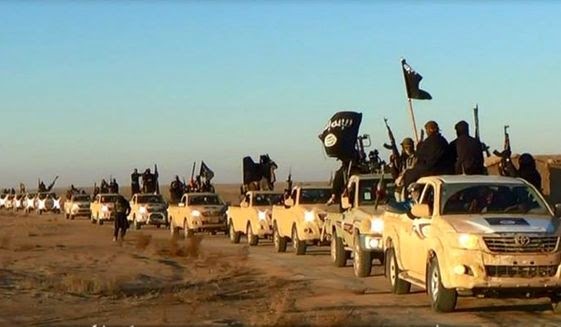 ISIS does not need it; they have taken all the other crossings in the area. They are merely consolidating their gains and taking all the territory they can and eliminating any resistance. On this map, the gray area is that controlled by ISIS. Note that they already control a large portion of the border with Turkey. Kobane - which I have circled in red - is the remaining pocket of resistance in that area north of al-Raqqah. According to the Pentagon, the defense of Kobane was never an assigned mission. 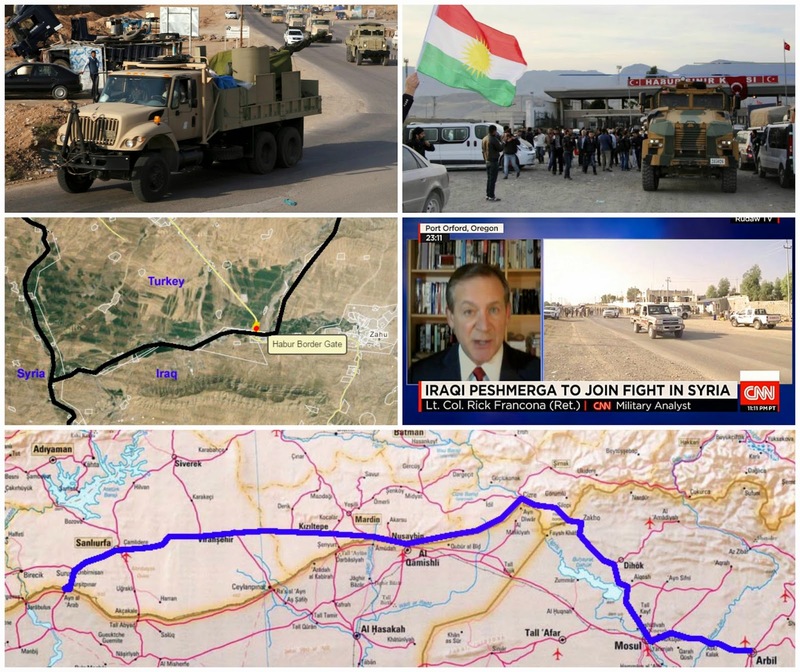 In my assessment, without embedded American military tactical air controllers on the ground, it is doubtful that we would have been able to turn back the ISIS wave - they vastly outnumbered and outgunned the Syrian Kurdish fighters. I used this map on CNN this weekend. The red X is an Iraqi military installation overrun by ISIS last week, leaving many US-manufactured and supplied armored personnel carriers intact to ISIS. ISIS has moved from Fallujah toward Abu Ghraib, placing them within artillery range of Baghdad airport - the ramifications of that are huge. ISIS has previously moved to the Sunni areas just south of Baghdad - these areas were the targets of the very first US airstrikes weeks ago. Today, mortar rounds were fired into the Green Zone of Baghdad. So with ISIS able to strike the city, where is the Iraqi Army? According to news reports today, the Iraqis have tried to dislodge ISIS from these areas west of Baghdad, and failed. It has gotten so bad that the U.S. has had to employ the AH-64 Apache helicopters stationed at Baghdad airport. The Apache is an excellent weapon; its use would indicate that the Iraqis are in pretty dire straits and more firepower in a close air support role is needed. However, the helicopters operate within the threat envelope of air defense weapons known to be in ISIS hands. The situation around Baghdad is much more critical than that in northern Syria. We need to address this immediately. Now might be the time for Chairman of the Joint Chiefs of Staff General Martin Dempsey to go to the President and talk about American "boots on the ground."